Can I Stream It may be inaccurate here - last time I checked it was available to view without charge on Netflix - viewing with charge available on other services. Can I Stream It is usually inaccurate. When it says something is available, it's right, but when it says it's not, that's a crapshoot. I loved this film, but it's hard to pin down why. I think the sense of unease it's able to nail, that sense of being in a foreign country. And of course this movie just needs to be heard at full volume. I absolutely adore Strickland's next film, The Duke of Burgundy, which isn't horror and I don't think has been discussed on Fanfare yet. Given the nature of the movie doing sound right was going to meal or break it, and I think they absolutely nailed it. Having Broadcast on board doesn't hurt, of course. Also I would totally watch The Equestrian Vortex. It's a great film, but it strikes me as less scary than incredibly sad. I just felt so awful for Toby Jones's character the whole time. Anyone here seen the 2001 Denzel Washington vehicle Training Day? Toby Jones's character and his situation in BSS reminded me of that a lot -- far from home, doesn't speak the language, things are not going well, things in fact are just fundamentally wrong and tensions are rising quickly. The movies are very different in other ways but to me they both capture the nagging sense of not-belonging, and increasingly not-welcome, very well. Very interesting film. Yeah, it definitely nails the "fish out of water" horror thing. Also, while I've always thought it would be fun to do foley for a horror film, I've never thought about how terrible that would be for someone who's sensitive to that sort of thing. Just watching the same brutal thing, over and over again... Yikes! 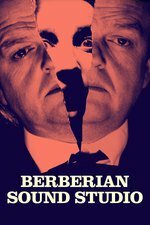 Another film that it reminds me of (in the genre "Anglo-saxon begins to suspect the Italians are out to get him") is Greenaway's The Belly of an Architect. As someone a bit phobic of paperwork the horror of the expenses not being quite right really sticks with me.